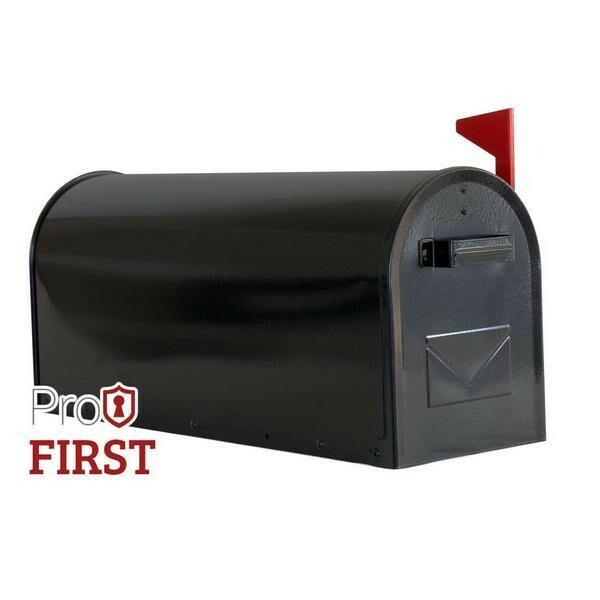 The Pro First 630 US Mailbox range is available in white, black & silver (silver is made from aluminium, not steel). 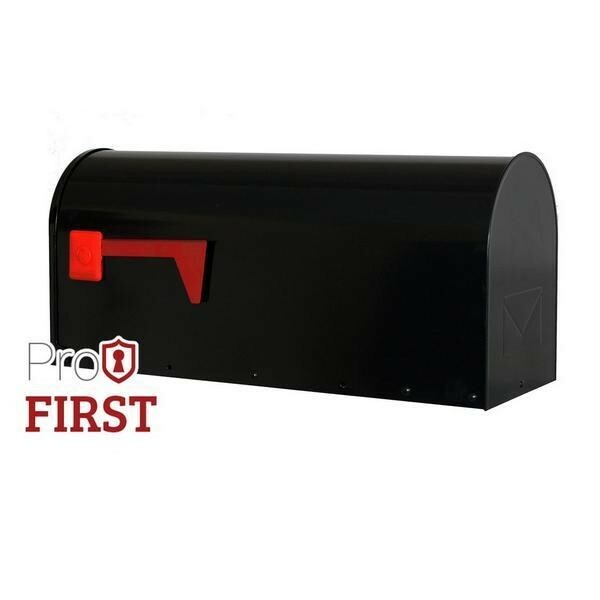 The 630 Black Mailbox is a great value fun American stylish mailbox made from steel with a smooth paint finish. Mail is accessed via drop down door including a safety catch to keep the door secure. 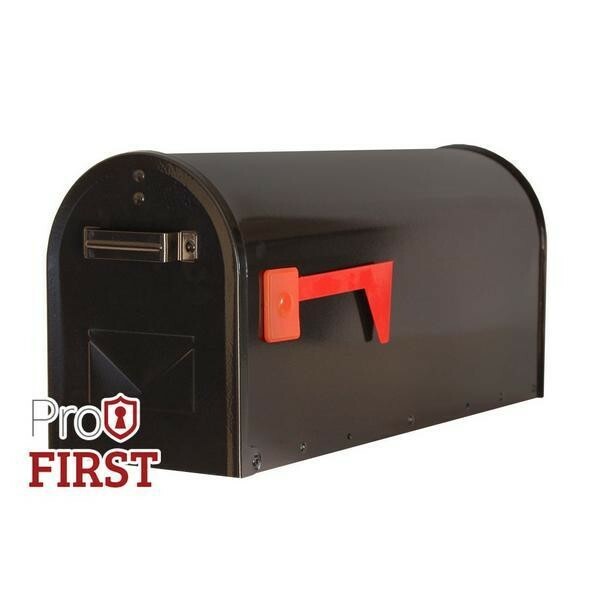 Pro First 630 US Black Stylish Mailbox. Delivery in 5 - 10 working days.